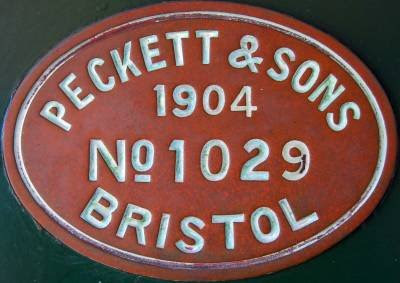 Peckett and Sons, of Bristol, England, were specialist builders of tank locomotives of all sizes and designs. They made locomotives suitable for Branch Lines, Mineral Lines, Steel and Iron Works, Gas Works, Tinplate Works, Collieries, and all kinds of Contractors' work and the locomotives were recommended to be able to cope with the arduous nature of the work such engines were usually called upon to perform. Lucky buyers could buy from the shelf -- the factory usually had a stock of completed engines of the widest gauge ready, however any other gauge could be provided on order. 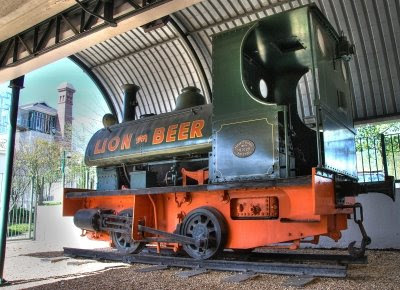 One such engine, made to order, was Peckett & Sons works number 1029, built in 1904, which made its way to the Ohlssons Brewery at Mariendahl (Newlands) near Cape Town. One of the key figures in the story of Newlands, and in the annals of South African beer manufacturing history, was Norwegian Anders Ohlsson, who sailed for Africa, aged 23, in 1864. Initially, he imported Swedish goods and timbers, and developed an extensive trade network and a solid business empire. 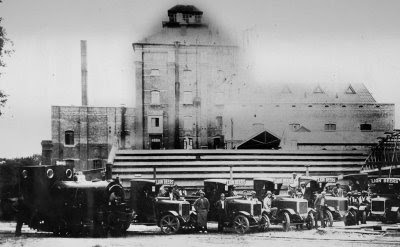 Then he turned to brewing, basing himself at Newlands with the Ohlssons Brewery, where he produced Lion Lager. When I visited on 17 September 2008 the Peckett locomotive was standing under a roof and well protected from rainy weather. 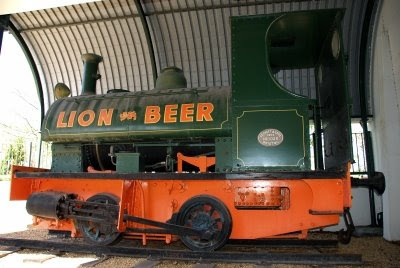 For many years the preserved locomotive was a landmark display at the entrance gate to the SAB Ohlssons Brewery in Newlands. 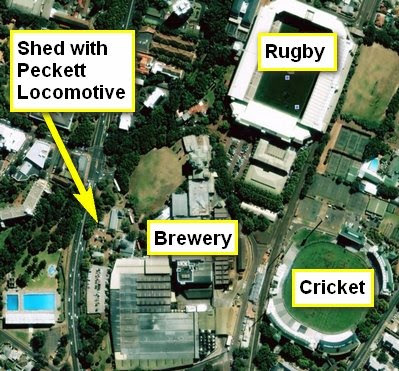 The Brewery had sidings on the west side of the SAR Cape Town-Simonstown line in Newlands. This photo shows part of the new maltings building erected in 1903 and the Peckett #1029 which was acquired by Ohlssons in 1904. 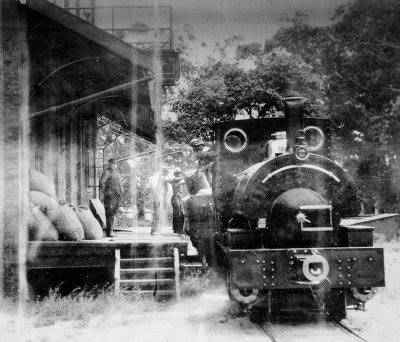 This 1920 Mariendahl photo shows the locomotive with a number of lorries used by the Ohlssons Brewery. This picture comes from a 1938 catalog of Peckett & Sons showing some of their locomotives. Engine #1029 in Newlands appears to be from this Class "959" locomotive. 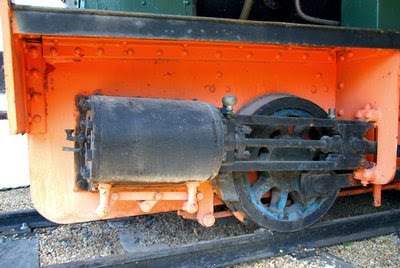 Obviously "959" merely referred to the works number of the first engine made to this specific design. The locomotive does not seem to be a modified "Yorktown Class" as stated in Middleton & Williams 1991 - it appears that this class was created later around 1910. Currently the tool boxes for class 959 as shown in the catalog, at the front of the loco, are missing on #1029, but the archives photo at the malt building above, shows that these boxes were fitted initially. Cylinders, 8-in. diameter x 12-in. stroke; Wheels, 2-ft. 3-in. diameter; Wheel Base, 4-ft. 6-in. ; Weight in full-working order, 12 tons. Gauge, 2-ft. 6-in. to 4-ft. 8.5-in. Tractive force, 3,870-lbs. Working boiler pressure was 160-lbs psi. 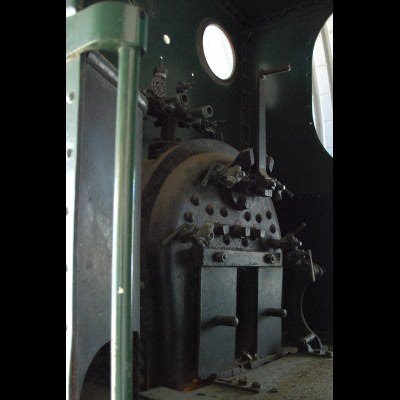 The locomotive has a hand screw brake - as fitted in #1029. 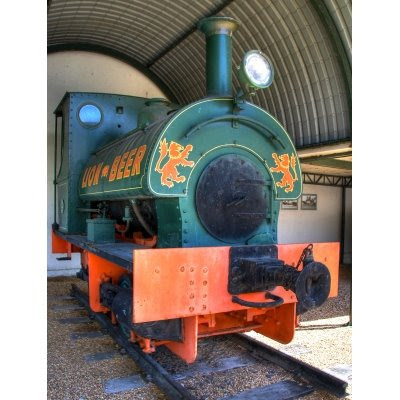 The locomotive is well kept and painted in Brunswick Green livery complete with lining out. Directions to the locomotive in NEWLANDS, Cape Town. The locomotive is open to the public. Should you wish to view the engine, you should visit during business hours when the offices and visitor reception are open. Do not depend on the entrance gate security personnel to know about the engine - they are outsourced services. You may ask directions at reception or discover the engine behind the old malt house (also a national monument). The company began trading in 1864 at the Atlas Engine Works, St. George, Bristol, as Fox, Walker and Company, building four and six-coupled saddle tank engines for industrial use. They also built stationary engines and pioneered steam tramcars, the first being tested in Bristol in 1877. Much of their output was exported. Between 1862 and 1900 they had built over 400 locomotives, when they were taken over by Thomas Peckett in 1880 becoming Peckett and Sons, Atlas Engine Works, Bristol. The company acquired limited liability some years later. The company continued producing a variety of small industrial and shunting engines at their factory located between Fishponds and Kingswood. They became specialists in the field, with very precise specifications and standardization of parts. The largest engine was an 0-8-0 built in 1931 for the Christmas Island Phosphate Company. During the two World Wars, the works were especially busy, but by 1950 trade had largely dried up and, although in 1956 an attempt had been made to enter the diesel-mechanical market, the last steam engine was produced in 1958 and the company was taken over by Reed Crane & Hoist Co Ltd on 23 October 1961, which itself later went into liquidation. Despite hard work and poor maintenance, the engines were long-lasting. Many Peckett locomotives survive working on today's heritage railways.